It’s almost impossible to scroll social media and the internet without seeing inspirational quotes from successful business owners and those who aspire to become one. You may follow entrepreneurs, successful actors and musicians online and gawk at the lifestyle they are living and ask yourself, “what will it take for me to have a fabulous life or live worry-free?” We live in an age where we are exposed to an information-overload. We are pressured to aim high and shoot for the moon. We are bombarded with those who claim they are their own boss. But what does it really mean to be your own boss? Is it what social media and our peers make it out to be? Should one really seek out an opportunity to venture into the world on their own? In late 2015, I graduated with my MBA and decided that I would become a problem-solver. I initially pursued my master’s degree with one goal in mind; to be considered for advancement opportunities within the organization I work for. I wanted to become more knowledgeable in finance and project management so that I could move up the corporate ladder. I never dreamed of owning my own business or starting one. A few years ago, my dream was to get married, have kids by 28 and to continue climbing that ladder everyone speaks so highly about. Needless to say, I am almost 31, unmarried and childless. The good news is that I am climbing the corporate ladder all while growing my own business and brand. So what sparked my entrepreneurship? A month before graduation, I scheduled lunch with a VP at the company I work for to discuss possible advancement opportunities. After all, I kept being told that once I obtain my MBA, “the world would be my oyster.” During lunch, the VP said he was sure that after I complete my MBA program he could find me a better position, but it would only yield an extra $10k in salary. After hearing what I thought at the time to be the worst news ever, I left that conversation feeling like I owe it to myself to strive for more and to not let someone or a company dictate to me, what I am worth. I’ve spent countless hours of test taking, completing research papers and acquiring more student loan debt to just settle for an extra $10k or $15k extra over the course of a few years. Heck, I’ve worked way too hard to settle for any amount of money a Corporation can offer me- Just for them to call me into Human Resources and hand me my “walking papers” at any given time. Let’s fast forward to now, the beginning of 2017. I am fortunate to have obtained my MBA with a concentration in Project Management and I currently work as a Director of Project Management for the same company. Needless to say, my dream of climbing the corporate ladder came true, as my “want” for more became greater. I didn’t allow my promotion and raise to make me content. 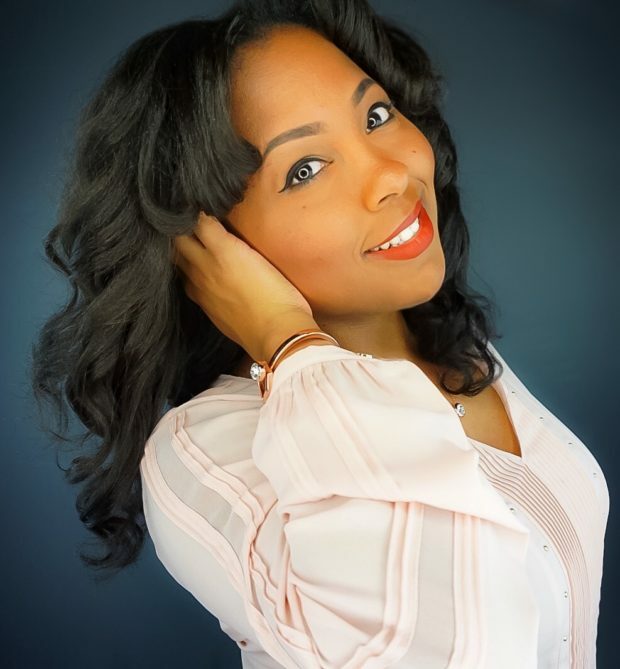 I utilize the additional income and put everything I earn towards research and expanding my own company, Envii Haircare LLC, where I sell my own premium quality handmade hair care products. I also work as a wardrobe stylist part-time in order to sharpen up my customer service and networking skills. When starting your own business, you can never have enough money. Whoever came up with the statement, “it takes money to make money” was spot on. I thought just having one job was enough, I was wrong. This leads me to the million dollar question- What does it really take to be an entrepreneur? Envii Haircare LLC, Premium Quality Handmade Hair Care Products. To me, being an entrepreneur means that you NEVER GIVE UP. It also means spending every penny you have to bring your hopes and dreams into fruition. Starting a business has more downs than ups for most of us. I’d love to step out on faith and solely spend time growing my business, but once again, “it takes money to make money.” Being an entrepreneur means, putting your business first and family second. It also means creating environments of stressful urgency. Start-ups rarely get anything done in a relaxed environment. For example, Steve Jobs, the co-founder of Apple, was notorious for pushing his team beyond its limits by setting seemingly unrealistic timeliness. As a result, his company created products quicker than they had ever imagined was possible and thus gained a huge competitive advantage over rival companies like IBM. Envii Haircare was founded in late 2015 and began operating in mid 2016. Being a career woman, wardrobe stylist, chemist, sales associate, accountant, marketer, help desk agent, customer service representative, supply chain manager, etc is overwhelming. As an owner of a start-up, you have to play ALL positions and there are NO days off! Let’s not forget family…. So before you let the glamorous life of social media gurus and celebrities paint this pretty picture of what it’s like being your own boss, just know that you you’ll always have a BOSS- the customer/client. Business never sleeps and as an entrepreneur, neither do you. You are definitely off to a great start. I look forward to reading more articles and hearing more about your route as you climb your OWN corporate ladder. Your products are great! I’ve love the shampoo and will be ordering more very soon. Again, congratulations and keep up the good work!